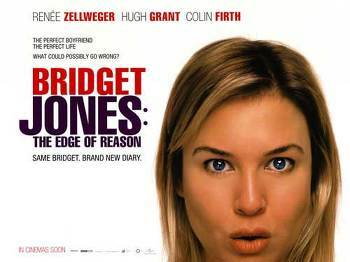 Bridget What's the matter? 자기 왜 그래? Mark Let's get a drink. I'm going to go to the loo, then I'm going to come back. And then we're going to be civilised. 술이나 한잔 하자. 화장실 갖다가 다시 올게. 그러고 점잖게 얘기하자고. Rebecca Mark, it's Rebecca. Are you there? Obviously not. Anyway, I hope lunch with the parents went well. I'm sure you were dutiful and very polite, as usual. Er... Whatever. Anyway, Look, maybe give me a ring when you get back. I thought I might pop round for a nightcap. But I suppose that's a silly idea. Bridget's probably there. Sleep tight. 마크, 레베카에요. 집에 계세요? 아니겠죠. 아직 브리짓과 밖에 계시겠죠. 의무감도 있고 예의바른 분이니까요. 그건 그렇고, 돌아오시면 전화 주실래요. 같이 계실 거니까. 잘 자요. *A usually alcoholic drink taken just before bedtime. Mark Oh, Christ, what now? 이런, 또 뭔데? Bridget Are you or are you not having an affair with Rebecca Gillies? 레베카랑 같이 잤어 안 잤어? Mark I won't dignify that question with an answer. 그 질문엔 대답할 가치도 없는 것 같은데. *She did not dignify his comment with a response. 그녀는 반응을 보이지 않음으로써 그의 논평을 묵살했다. Mark All I did was go to the loo. Bridget! Bridget. That's not your coat. 화장실 갔다 왔을 뿐인데. 브리짓, 브리짓. 그거 니 코트 아닌데. Mark Oh, Bridget, what are you doing? 브리짓, 무슨 짓이야? if you can think of three reasons why you shouldn't . 누군가와 사귀지 말아야 할 이유가 셋 이면 사귀지 말라고 책에서 읽었어. Mark Can you think of three? 이유가 셋이라도 있는거야? Bridget Well, first off, I embarrass you. I can't ski, I can't ride, I can't speak Latin. My legs only come up to here and yes, I will always be just a little bit fat. And you, you fold your underpants before you go to bed. 우선, 난 자기를 난처하게 해. 스키도 못 타, 말도 못 타. 라틴어도 못하고. 숏다리에 살도 쪘지. 그리고 자긴 자기전에 꼭 속옷을 개어 두더라. Mark Now, hang on, that can't be a reason. 잠깐, 그건 이유가 못 돼.
Bridget No, it's not a reason. But you're not perfect either. and you're incapable of doing anything spontaneous or potentially affectionate. who's so fantastic... just the way she is, that you don't need to fix her. 맘에서 우러나서 하는 일도 없고 애정을 가지고 하는 일은 눈꼽만큼도 없어. 자기는 귀빈실에서 누군가 끝내주는 사람을 찾고 잇는 것 같아. 있는 모습 그대로 근사한 사람 말야. 자기 스타일로 개조할 필요도 없는 사람. with strong accents and hadn't been to college. Mark Bridget, this is mad. 브리짓, 이건 말도 안돼. Bridget Perhaps you've already found her. Do you want to marry me? 아마, 벌써 찾은 지도 모르지. 나랑 결혼은 하고 싶은거야? Bridget You see, you can never muster the strength... to fight for me. 거 봐, 자긴 날 위해 싸울 힘조차 없는 사람이라고.